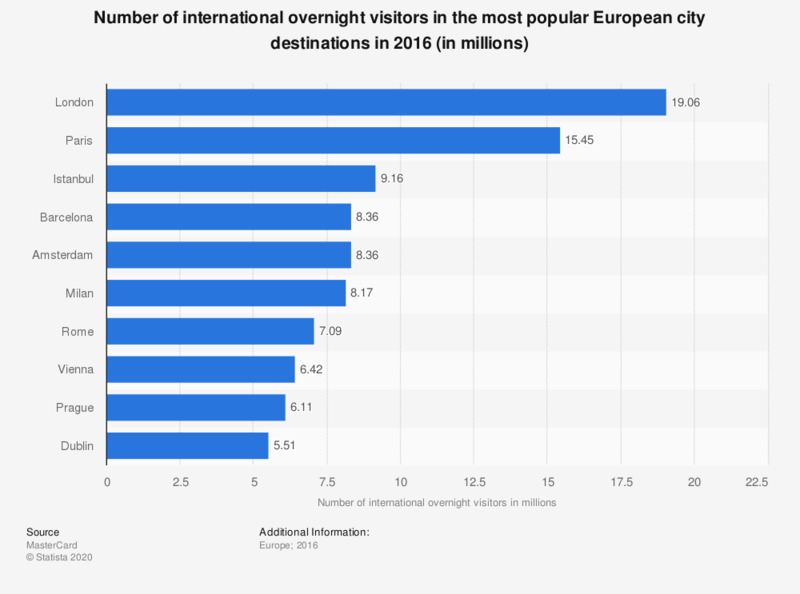 This statistic shows the number of international overnight visitors in the most popular European city destinations in 2016. London had the largest number of international overnight visitors in 2016 with 19.06 million. In 2016, London had the second most international overnight visitors. In that same year, London ranked as the third leading city in terms of international visitor spending in the world. In 2016, some 858 thousand international overnight visitors to London came from New York, United States.